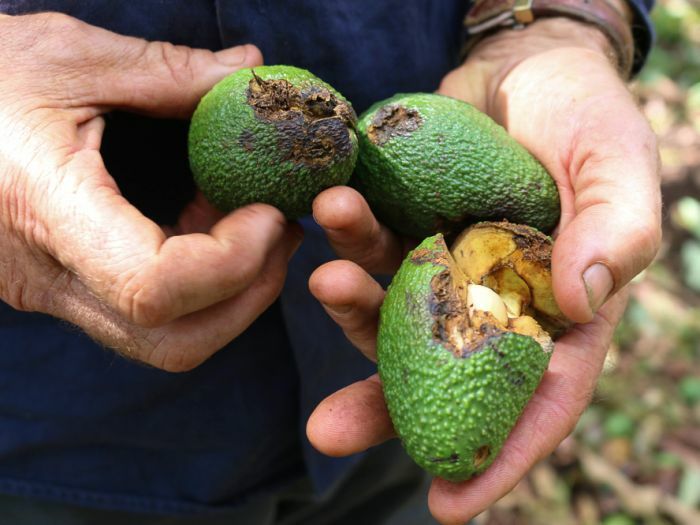 A hail storm that ripped through an avocado orchard in the Northern Rivers of New South Wales last week has destroyed an estimated 4 million avocados. 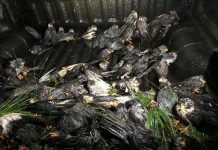 Aussie Orchards’ managing director Colin Foyster said 80 per cent of the fruit on the 12,000 trees at the Pretty Gully farm was knocked off and onto the ground. 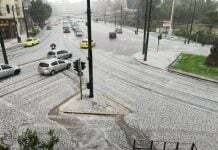 The hail stones were up to three inches [7.6cm] in size and very jagged. It only hailed for less than 10 minutes, but [the stones were] big enough to knock the fruit off the tree or damage the remaining fruit. It’s three months away from harvest, so it’s all immature, so it’s unsalvageable. 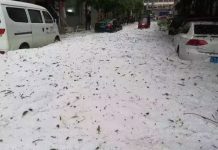 Mr Foyster said the remaining fruit on the trees also had impact marks where the hail hit the fruit, and the trees themselves were also damaged. They won’t go into a premium 5kg tray; it’ll go into a 10kg bulk box, which you basically get the same money for. Aussie Orchards is a family-owned-and-operated business with avocado, lychee, sugar cane, macadamia and vegetable farms spread across the Northern Rivers and far-north Queensland. Pretty Gully is an isolated area, 35 minutes’ drive north of Tabulam in the Upper Clarence Valley. 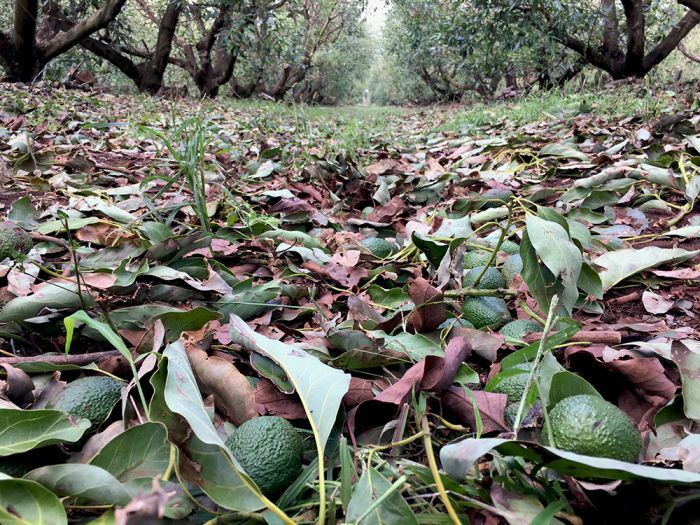 This year Pretty Gully was expected to deliver a record crop for the Foyster family, but instead it is believed to be one of the biggest natural disasters to hit a single avocado orchard in Australia. The 2019 crop would have produced an estimated 200,000 trays of fruit, or around 50 semitrailer loads of avocados. 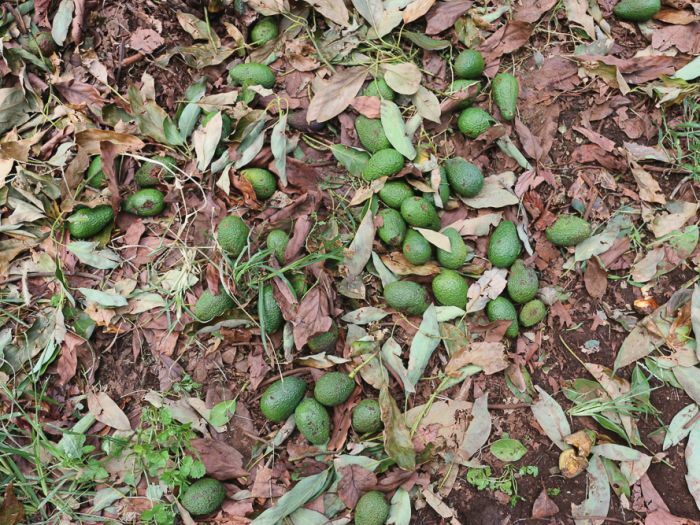 It is estimated around 200,000 trays of avocados, approximately 4 million pieces of fruit, were destroyed by the hail storm. Mr Foyster was devastated by the damage and the financial loss. It may, however, take the orchard a little longer to recover. It had been a tough season leading up to the hail storm with months and months of dry conditions in the region. It had been so dry at the orchard that they had to truck in water daily for three months to keep the trees alive and growing. Then came the destructive bush fire near Tabulam that destroyed more than 20 homes and burnt out more than 4,000 hectares. Mr Foyster said they were lucky that the orchard did not go up in flames. That is dramatic… For this family and for our food network… I expect food prices – from vegetables to meat – growing badly in the next few months. Hopelly this isn’t a food crisis coming to us! This topic contains 6 replies, has 2 voices, and was last updated by Whoa Hua 2 weeks, 5 days ago. What happens when you turn your back on God, Australia? …WORLD? …WRATH coming, when God’s protection is no longer given. Thanks ddrake for those few words of wisdom and encouragement. Just what these folks who’ve lost their crops need to hear. It would have been better to say nothing than the dribble that dribbled from your too big orifice. 90% of native Indians in US were killed by them, too. US government is hiding those genocide places. One of genocide places is Natchez Trace. Now Natchez Trace is managed by National Park Division, but basically, you cannot access very much to this area except for driving along Natchez Trace. They want to keep off people from those genocide area. The same thing happening to me on Fawn Lake Bridge Road, Tuscumbia Alabama. I have moved this area 2 years ago. Then neighbors have started shooting me. Recently, those neighbors have started targeting my children, too. We have been protected by Galactic Federation of Light. I am from the spaceship of Galactic Federation of Light where Salusa and Archangel Metatron have been stationed. Right now, I have been wearing kind of ugly asian avatar body in order to stay 3D Earth. What I have found out is the leader of the shooters is working for US Army. He is getting orders form US Army to shoot me and my children. Yes, they are all criminals, but you know, in this 3D world, the more kill, the more decorated, the more money they can get. Basically, those shooters and killers are treated as heroes in US military. Hey, im sure that’s not right. My partner are also an asian women and she’s really pretty, just as usually all of them in their way. I think it’s better if we live along with our life and change ourselves. Nothing else wants to come. Wish all the best for everyone. .. except politicians and bankers.. screw and rot them deep in their bunkers.